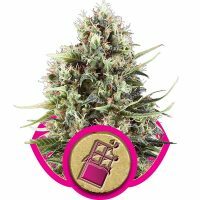 Royal Queen Seeds Shining Silver Haze female Seeds produce a Tall sized cannabis plant with a Very High (over 20%) THC content, Photoperiod genetics and a flowering time of 9-10 weeks. 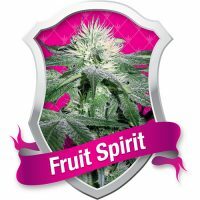 Shining Silver Haze female Seeds has a genetic makeup of Sativa / Indica hybrid and can produce yields of Indoor: 450 g/m2 . 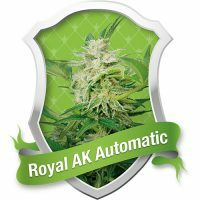 Buy Royal Queen Seeds Shining Silver Haze female Seeds at the lowest price online now! 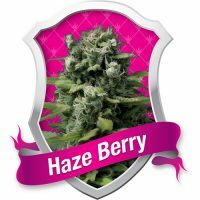 This haze hybrid will grow to about 1 metre tall, very short for a haze, indoors, but can stretch to over 2 metres outside. Grown outdoors, it will need a lot of sun, even a greenhouse, in regions like Spain, Italy or North Africa. Shining Silver Haze feminised will yield on average 350-450 grams per plant, or up to 450 grams per square metre. 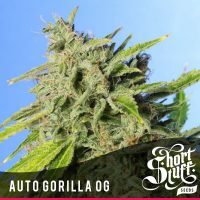 Flowering time is 9-10 weeks, which is really quite short for a haze plant.